In the most recent video (in what seems to be a series) of behind-the-scenes development discussions, the Insomniac team explains their choices regarding the villains in Marvel’s Spider-Man. The developer negotiated between “classic visual design” and making the content their own within the context of modern story telling. As far as aesthetics, for instance, they kept Electro’s classic green and yellow color scheme. But rather than have the yellow starfish mask, the team opted to give his face a starfish-shaped scar. Similarly, Vulture has a modernized suit and a flight mask that’s shaped like a vulture’s beak. The cast of villains was also curated to present a wide variety of combat challenges for the player. Fighting Vulture means engaging in aerial combat. Defeating Rhino is a test of strength, but also a matter of using his own (lack of) wits against him. Battling against Scorpion requires quick response time, as he’s a fast character who can traverse areas easily with his long tail. At the same time, characters were also used to represent larger issues and speak to the duality of heroes and villains. This is why you mainly see Mr. Negative when you’re Spider-Man, but you see Martin Li when you’re Peter Parker. 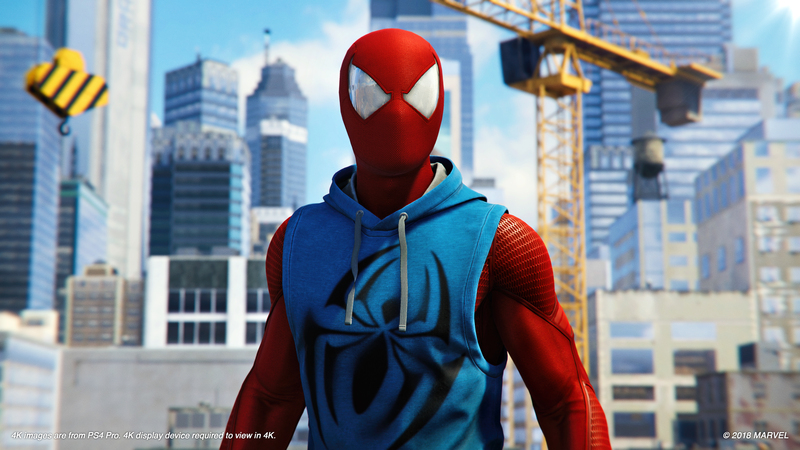 Creative director Bryan Itihar’s favorite character is a villain who hasn’t been publicly revealed yet, although fans who have already played the game will know exactly who he’s referring too. What villains would you like to see Spider-Man take on next? Swing by the comments section and let us know.